Home » News » Could you be the new Chair for the Institute of Welsh Affairs? Could you be the new Chair for the Institute of Welsh Affairs? Are you looking for a great way to help shape Wales’ future? 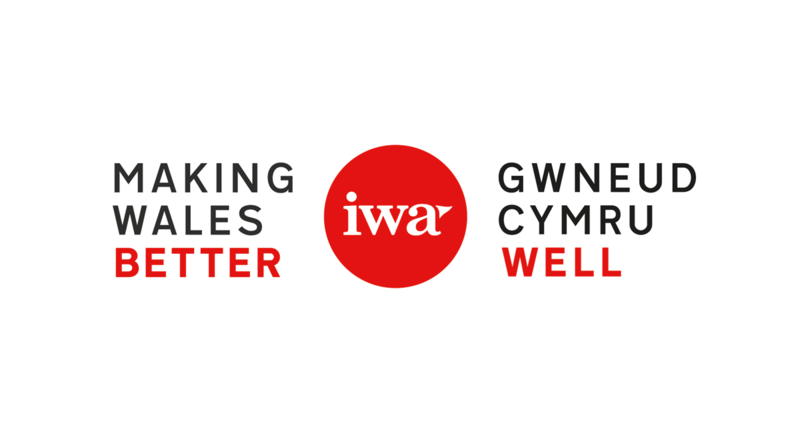 The Institute of Welsh Affairs (IWA) is seeking to recruit a new Chair to oversee the next exciting stage of this influential, independent think tank’s development. Whether it’s our flagship project Re-energising Wales setting out the way forward for Wales to capitalise on renewables, our thought-leadership on the opportunities for city regions to use smart technology to do far more than merely impact GVA, our commentary and critique of education and public governance in Wales, or our authoritative influence on media policy, you’ll be invigorated by the work we do to address the challenges facing Wales and you’ll feel driven to contribute by supporting and guiding our boundary-crossing work. With a growing membership across Wales and beyond, and a strong portfolio of projects with clear impact on policy making, coupled with our highly-regarded platforms for comment and debate in the welsh agenda and click on wales, the IWA Board is looking for a new Chair to lead the organisation beyond the next National Assembly and General Elections. We’d like our new Chair to be particularly politically-savvy, and very clued up on how best to get our recommendations implemented. Building on the development of the organisation during Helen Molyneux’ tenure as Chair, we are looking to extend our reach even further, increasing the impact of our policy, research and thinking even more. If you are interested in an informal discussion about what the role entails, please contact Helen Molyneux, Chair of the IWA, via info@iwa.org.uk, marking it for her attention. For an informal discussion about the IWA’s future plans, please contact Auriol Miller, IWA Director, via info@iwa.org.uk, marking it for her attention. To apply for this role, please send your CV and a covering letter (maximum 2 sides of A4) for the Nomination Committee’s attention, outlining your fit with this role, to laura@iwa.org.uk before 5pm on 31 January 2019. Shortlisting will take place in early February. Interviews are scheduled for 13 February, and we aim to appoint a new Chair before our Board meeting on 7 March. Our vision is to help create a Wales where everyone can flourish. Our vision is to create a Wales where everyone can thrive. Informed – We are evidence-informed, coming up with practical ideas that work. The Chair will hold the Board and Executive Team to account for the Charity’s mission and vision, providing inclusive leadership to the Board of Trustees, ensuring that each Trustee fulfils their duties and responsibilities for the effective governance of the charity. The Chair will also support, and, where appropriate, challenge the Director and ensure that the Board functions as a unit and works closely with the entire Executive of the Charity to achieve agreed objectives. He or she will act as an ambassador and the public face of the Charity in partnership with the Director. Monitor that decisions taken at meetings are implemented. The above list is indicative only and not exhaustive. The Chair will be expected to perform all such additional duties as are reasonably commensurate with the role. The Charity’s Chair will serve a four-year term to be eligible for re-appointment for one additional term. Trustee positions are unpaid, however all out of pocket expenses incurred in undertaking Board business can be fully reimbursed. Meetings are normally held in Cardiff, Wales, however Board members may also participate remotely. In addition to chairing the main Board meetings, the Chair has the right to attend the sub-groups. The Chair is expected to attend a minimum of 4 half-day Board meetings per year, an annual Board awayday, up to 4 sub group meetings per year (if on the Finance and General Practice Committee or the Membership, Marketing and Communications Committee), plus occasional external representation at key IWA events as agreed with the Director. The Chair is also expected to arrange regular 1:1s with the Director.